Combustion & control systems, Mumbai offering everthing for oil and gas burner spare parts. 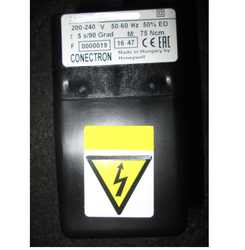 We supply Riello burner igniton electrode and ionization probe for Riello burners. 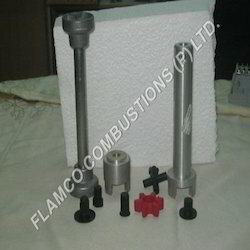 Combustion & Control systems, Mumbai offer Ignition electrodes, Flame rod, Flame sensor, Ionization probe, Spark plug for oil and gas burners and boilers. Our estimated costumers can avail from us superior quality 7 Pole Connector. These Connector are appreciated by large number of clients due to high quality and durability. We are engaged in offering a quality approved range of Burner Spare Parts. We offer a comprehensive range of Danfoss oil burner pump models, which are also used for all types of burners. These products have various qualities like reliability, durability, efficiency and long-lasting. Danfoss Oil burner pump and oil burner nozzles and Ignition Transformers are popular products used on Oil Burners. We are known as one of the most accomplished firm of this industry, involved in providing an extensive series of Diffuser Plate. With vast experience and knowledge we are involved in offering a premium quality range of Diesel Burner Spare Parts. Offered products are requires for overhauling of engine and are very reliable also. These are developed using fine quality material and advanced technology to meet the diverse requirements of our clients. - Size available from 1" X 2000 psi to 7 1/16" X 10000 psi. - Pressure rating ranging from 2000, 3000, 5000, 10000, 15000 psi and ANSI classes up to 4500#.